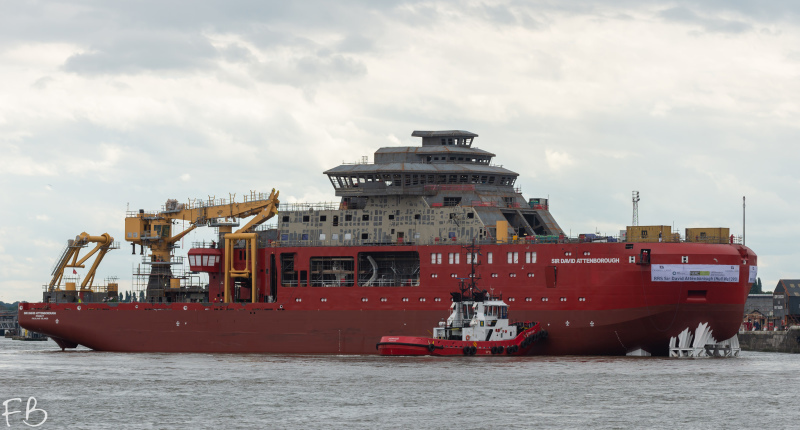 RRS Sir David Attenborough 'Boaty' is moved from Cammell Laird wet basin to dry dock number 7 by Smit Donau, Smit Barbados, Zeebrugge and Smit Waterloo. She now has her new accommodation block fitted and has a new crane. Same here - more so because she's built in UK. 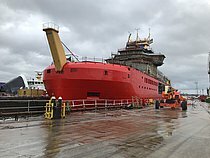 Can you believe it - we still build ships !! I can't wait to see the completion outlook of this unique looking ship. This photo has been shown 1,243 times since it was added to the site.